The FHS Ninth Grade Center welcomes Rachel’s Challenge, an organization that helps to create a school climate less susceptible to harassment, bullying and violence, on Wednesday, September 12. The Frenship High School Ninth Grade Center welcomes Rachel’s Challenge, an organization that helps to create a school climate less susceptible to harassment, bullying and violence, on Wednesday, September 12 to provide a sustainable, evidence-based framework for promoting a positive climate and culture in school. Former Texas Tech quarterback Cody Hodges will speak to the students during two different assemblies Wednesday morning. He will follow with a community event Wednesday at 6:00 p.m. at the FHS Performing Arts Center. The event is free and open to the public. 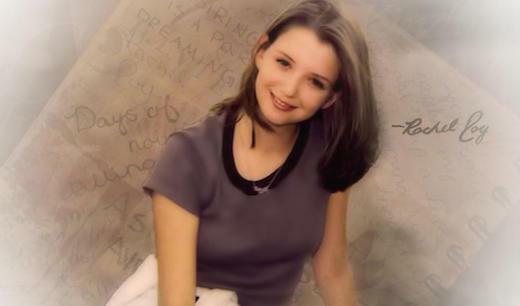 The Rachel’s Challenge organization began after Rachel Scott’s death in the Columbine High School shooting on April 20, 1999. Many of her classmates reached out to the Scott family to share their stories about her simple acts of kindness and the affect she had on other students’ lives, even preventing one young man from taking his own life. The family soon realized the transformational effect of their daughter’s story and started the non-profit organization that lives today. This is the second year the Ninth Grade Center administration will host Rachel’s Challenge for their students and community. Heather Wainscott, assistant principal at the FHS Ninth Grade Center, said the community event is a powerful one. “It doesn’t matter if you are a student, parent, grandparent or stakeholder in the community,” she said. “Everyone can listen and benefit from hearing Rachel’s personal story of creating a chain reaction of kindness and compassion throughout the Ninth Grade Center and our community. To learn more about Rachel Joy Scott and her story, visit the Rachel’s Challenge website.